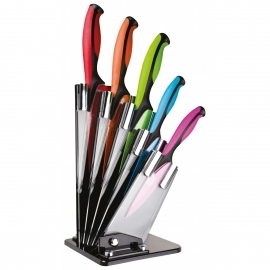 The Taylor's Eye Witness coloured stainless steel 5 piece fan knife block set adds a unique and modern twist to your kitchen. 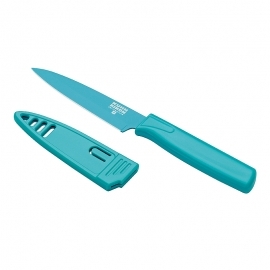 The set contains a chef's knife, bread knife, carving knife, all-purpose knife and paring knife. 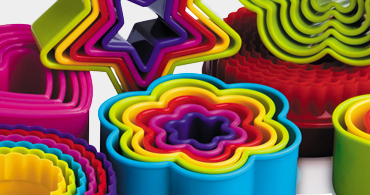 Reusable Hibiscus shaped silicone lid combines beauty and functionality, creating an air-tight seal on any smooth-rimmed bowl to keep food fresher for longer. 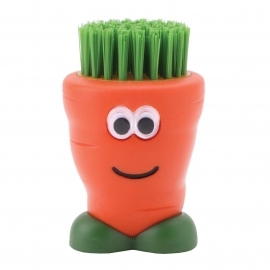 Clean your vegetables in a jiffy with this fun carrot shaped cleaning brush. 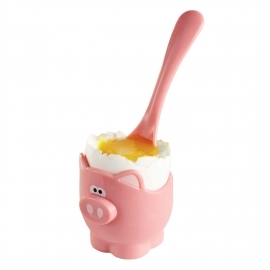 This pig themed egg cup and matching spoon will start your day out right with an egg and a smile. 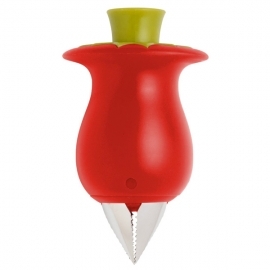 This clever little gadget removes tomato stalks quickly and easily. 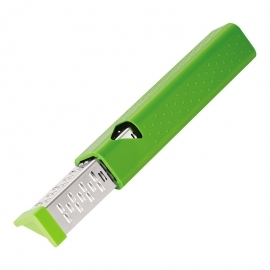 Just press the green button on the top to activate the stainless steel blades. Two graters in one! 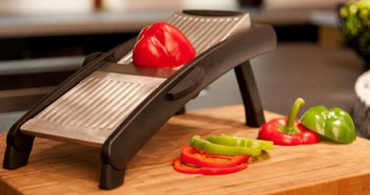 Use one side to coarsely grate soft cheeses and vegetables and the other for thin slices of garlic and hard cheese. 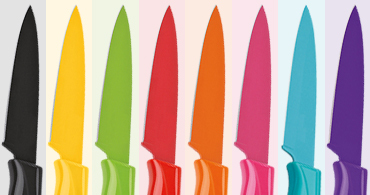 The handiest knife in the drawer! 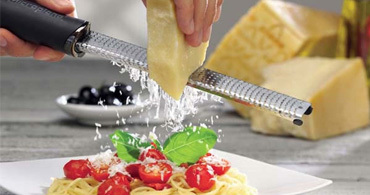 Swiss design, colour and style combined with high-quality, ultra-sharp Japanese carbon steel. Playful, pratical and wildly popular. 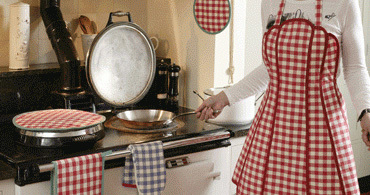 Buy quality kitchen tools and equipment online with free UK delivery on orders over £25 at Kitchen Buddies. 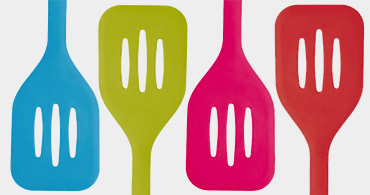 With a range of fun, cool and colourful kitchen essentials and tools, whatever colour you're looking for we have kitchen utensils and gadgets that not only look great but work great too. 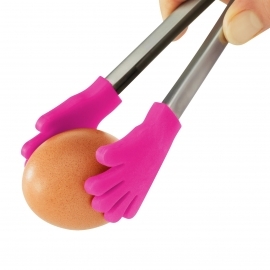 With a focus on new, exciting and colourful kitchen and cooking tools you can find a gadget to help brighten up your kitchen and put a smile on your face.